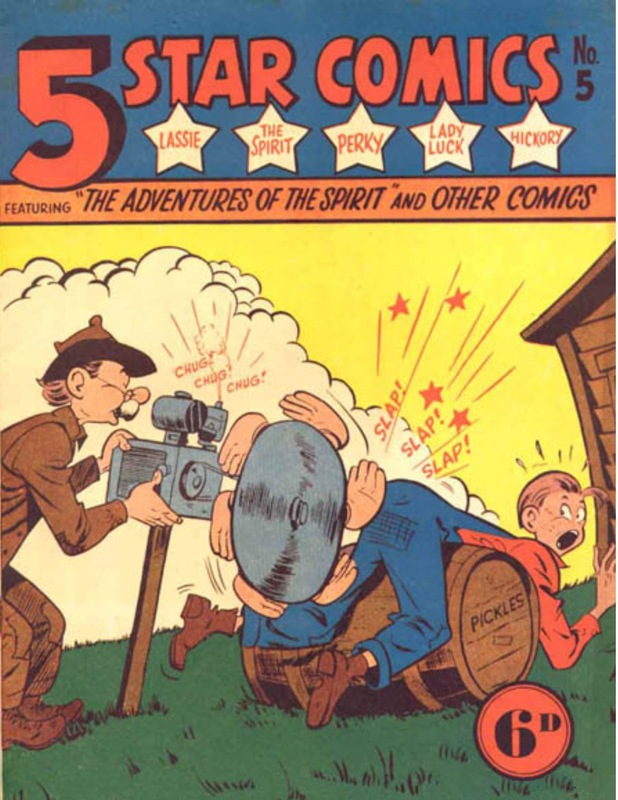 This is the last cover of the Australian 5 Star Comics for which we have an image. It may or may not be the last issue of the magazine. Note that the faces of the characters have shrunk away, leaving only their names inside the stars. The boy looks like a hillbilly character. I wonder if he is the "Hickory" from the star on the far right.